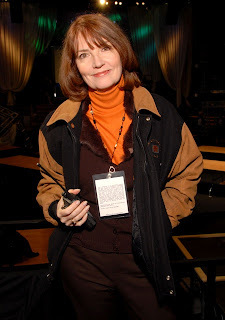 Kathy Connell was a working actress and Screen Actors Guild board member when she was asked to become part of the committee that would create the inaugural Screen Actors Guild Awards in 1995. She not only assumed the role of SAG Awards Committee chair, a position she held for two years, but was also the show’s first producer. This became a full-time job in 1996 after she stepped down from SAG’s Board of Directors. Connell recently added a new title to her resume: SAG-AFTRA’s assistant national executive director of awards and national programming. You’ve been with the SAG Awards since the beginning. What do you most remember about that first show? Kathy Connell: It was fairly terrifying when we sent out the invitations because we were throwing a very grand party and we didn’t know if anybody would come. Connell: Yes. We had a room full of actors and it was wonderful. You and a committee of four other actors organized the whole thing. Connell: Yes. The five of us spent 14 months in development, negotiating contracts with the network and production company; establishing the rules; establishing the categories and figuring out what the show would look like. It was a really interesting process. The SAG Awards Committee continues to this day. What is their role and why are they important? Connell: The union board always knew it was important to have actor input. These are all experienced working actors. They oversee and approve a wide range of aspects including – rules, voting materials, invitations, advertising, presenters, sponsorships, network and production contracts. By all accounts, the SAG Awards runs like a well-oiled machine. Connell: I feel, we have the best team in Hollywood. We have fabulous people that know their jobs and do them really well. Our goal is always to be user friendly – to our nominees, to the studios, to the industry and to our voting membership. Why doesn’t the ceremony have a host? Connell: We chose to not have a host was because we didn’t want the time taken away from the people we were honoring. Our show is just two hours long. We wanted the whole evening to be about the actors and not about one personality. Connell: How we originated the ensemble and cast awards concept that everyone else is using now. It's live TV. What do you worry most about? Connell: That we get off the air on time. That the comments made by recipients are from the heart. We always encourage them to take that moment and say something personal to the actors both in the audience and at home. Will you be able to take a break once this year’s show is over? Connell: There is no down time. The nominating committee will be picked about a month after the show and we are already preparing for our 20th anniversary show in 2014.